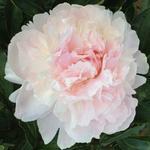 There have always been a few gardeners in the Deep South asking if they could grow and flower peonies. Now, even more so, with the fact members of the American population are increasingly migrating throughout the country, we are hearing from persons who grew up further north, wanting to have their favorite plant flowering all the way to the Gulf Coast. Well, I can now offer hope of success. While I have considerable of technical backup for the idea, my chief source of hope comes from an exchange on the web-based peony group, peony@yahoogroups.com. Says a gentleman who signed as Pierre, “I live in Studio City, a part of Los Angeles, and I have had no problem getting peonies to grow and bloom well”. Yes, that is Los Angeles in California, USDA plant hardiness zone 10b for persons who may use the USDA zone map to predict how far south peonies can be expected to perform reliably, often offered as 8a or 8b. The comment was posted to the group August 29, 2001, signed “Pierre”. Pierre’s credentials include that he grew up near Nice in the South of France and explains, “where, in my parent’s garden, we had olive, orange and lemon trees, . . . We grew borders and borders of different peonies there . . . ” He further declares, “They do not need a cold period in winter to bloom well. . . They do need a dormant period, so make sure you cut the branches down by November if they have not gone dormant on their own.” There is much more in that exchange of postings, which can perhaps be still seen in their entirety in the archives of the original Yahoo Peony Group by those persons sufficiently adept at navigating such environments. Look for August 29 and 30 of 2001. 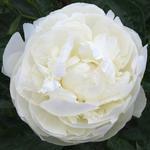 Pierre also states he has friends flowering peonies in San Diego and in Orlando, Florida. He states that he is growing more than 100 different kinds, mostly Lactiflora sorts, but some of them being seed-grown species. He makes mention of planting with just the tips of the dormant buds below ground, that over winter rains had caused some loss to root rot, that some afternoon shade for summer is good and that some late flowering sorts may sometimes fail to open. Sound familiar? But not so familiar when he reports that some tree peonies will be blooming in early January and some Lactifloras can start around Valentine’s Day. So what explains Pierre’s success when our historical experience and commonly held conclusion has for long been: peonies need approximately the same amount of winter cold to perform as do apple trees? The answer, I believe, lies in the fact peonies want to commence growth for the season when the soil remains cool from the winter season. Their dormancy must have been released to grow at those temps. My experience with starting peony seeds indoors under contrived conditions has led to some surprises which tend to corroborate. One of them was when I planted out peony seedlings already having advancing shoots in growth for various lengths of time in the dark and chill of refrigeration. When I did so after the soil became much warmer in late spring (after the flowering season) those with the shortest plumules did not produce leafy shoots above ground and were never seen again. Would they have grown normally had they been equally advanced and planted in late March at the time my established peony plants were showing growth? I cannot say, for it was never convenient to test the idea by way of a comparison experiment. However, I do note the complicated sequence of temperatures we must contrive to sprout peony seeds “indoors” does seem to mirror quite well the growth cycle of our established peony plants. Regarding Pierre’s account, I will comment, however, I see no reason to wait until October (his “before November”) to remove the still green peony tops in order to get their rest period started. Why not do it in September? Then see what timing of shoots and flowering that produces, maybe make adjustments based on the results. How might a gardener move to commence a trial in another mild climate? This being not only a new idea as well as being in opposition to the wisdom of our elders, I will close with some thoughts as to how an interested party might do a trial in Southern Georgia, for example. To start, do consider it experimental. At first, stick to cultivars of the Lactiflora Group, inasmuch as that is what Pierre said he was growing, giving preference to those described as vigorous growers – remember, your peonies flower on food stored in the roots during the previous season, there is a payoff to keeping them growing well. 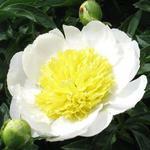 Also, remember to evaluate your soil internal drainage and depth of fertility, the “topsoil”, peonies want a rich soil. If you feel uncomfortable as to what can be done to build a soil for best peony performance, check the article on peony beds preparation by Dr. Jim Carson at the American Peony Society. 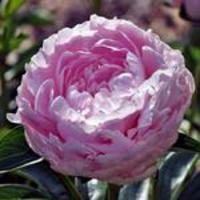 Dr. Carson is a peony enthusiast residing in North Carolina, who has turned a mediocre soil environment into beds which provide for excellent peonies growth and performance. Persons interested in pursuing questions on this subject should feel free to contact the Society office and I will respond to any questions or comments forwarded to me.